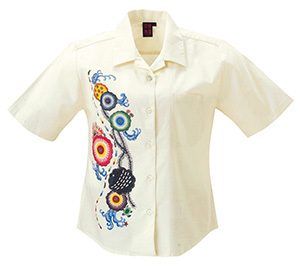 Genuine kariyushi shirts are very much in the spirit of Hawaiian aloha shirts. 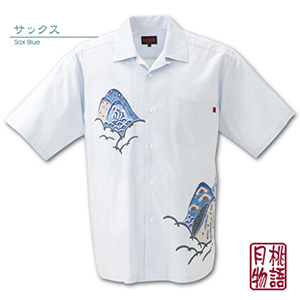 The word kariyushi itself carries a special meaning – roughly between happiness and harmony – and that is the spirit conveyed through these light, cheerful shirts that have, like the Hawaiian aloha shirt, become the new white collar in Okinawa, worn by everyone from office workers to business leaders. 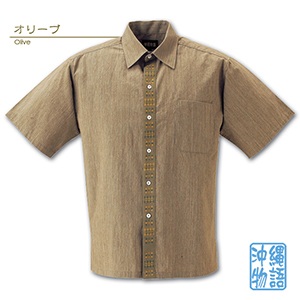 Gettou (Okinawan shell ginger) fibers are actually woven into the fabric giving these shirts a linen-like texture that feels wonderful. Ryukyu bingata style: Was 10,183 yen, now 4,320 yen. 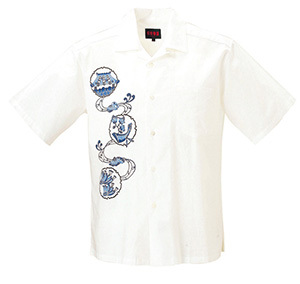 Yomintanzan-hanaori style: Was 16,200 yen, now 4,320 yen.